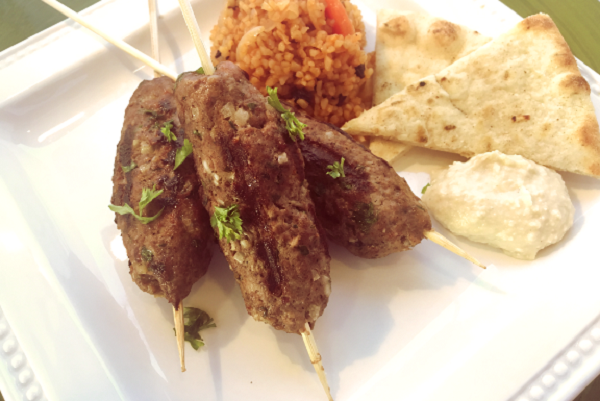 Kofta - the middle eastern meatball - comes in many different versions each unique to its native locale. 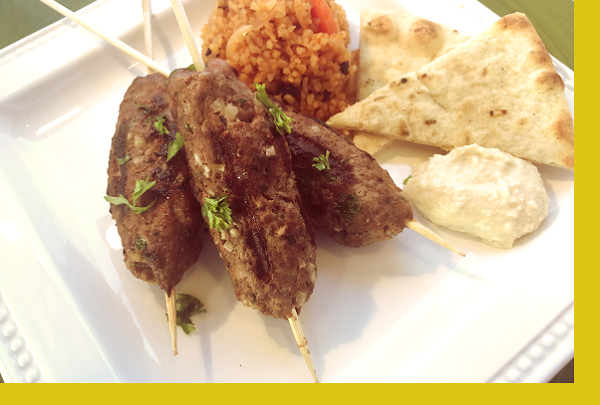 These all beef kofta kebabs are bursting with flavors from the parsley, onion, garlic and array of spices. Paired with a delicious bulgar rice, freshly made hummus and pita. Preheat Grill. Grill kebabs 2 mins per side on all 4 sides for a total of 8 minutes. Heat pita bread on the grill about 30 seconds. Reheat bulgar in the microwave about 2-3 mins. Serve together with hummus.